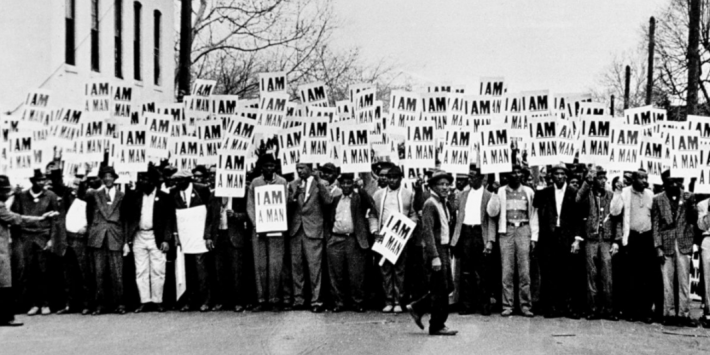 Sanitation Workers Strike in Memphis, Tennessee on March 28, 1968. 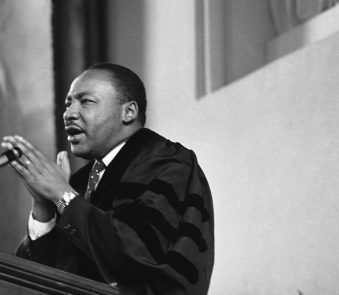 The exhibit takes its title from Dr. King’s last speech before his assassination and will feature 40 photographs from the High Museum’s collection, including some by Gordon Parks, Charles Moore, Steve Shapiro, and Atlanta’s own Doris Derby and Sheila Pree Bright. 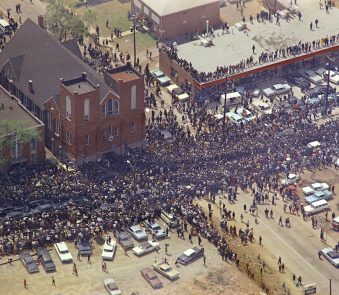 “City Lights” host Lois Reitzes spoke with Nelson about the photos, Dr. King’s legacy and the High Museum’s collection of Civil Rights photography. “A Fire That No Water Can Put Out” opens Nov. 4 and will be on view through May 27. 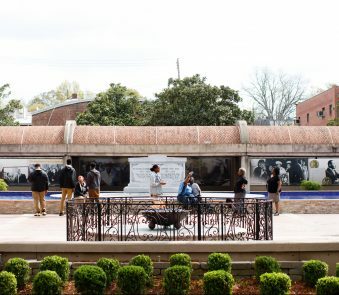 Note: This story originally aired on WABE on Nov. 2, 2017.